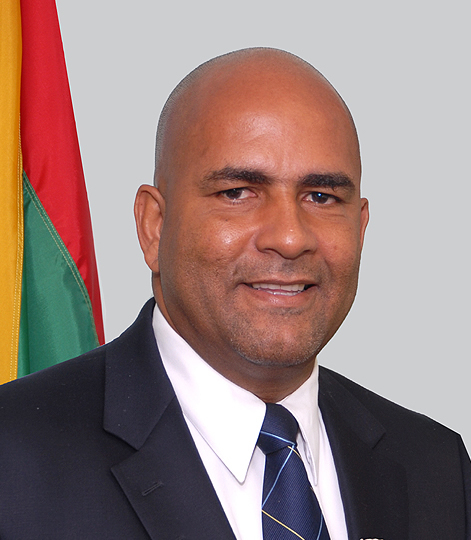 Peter Charles David is a Grenadian politician and current Senator. Peter Charles David was born in 1957 in St. George, Grenada. He recived his education at Carleton Univeristy and Essex University. David was elected to the House of Representatives as an National Democratic Congress (NDC) candidate from the Town of St. George in the November 2003 general election. In the general election held on 8 July 2008, David was re-elected from the Town of St. George. The NDC won a majority of seats in this election, and David became Minister of Tourism and Foreign Affairs in the new NDC Cabinet, led by Prime Minister Tillman Thomas, which was sworn in on13 July 2008. He subsequently served as Minister of Tourism until he resigned from the Cabinet on 30 April 2012. David later joined the New National Party (NNP) and was appointed a Government Sentor in the Grenada Senate following the NNP's landslide victory in the 2013 general election. David successfully contested the Town of St. George seat for the New National Party (NNP) in the 2018 General Election. He was appointed Minister of Foreign Affairs in the Keith Mithcell led administration.